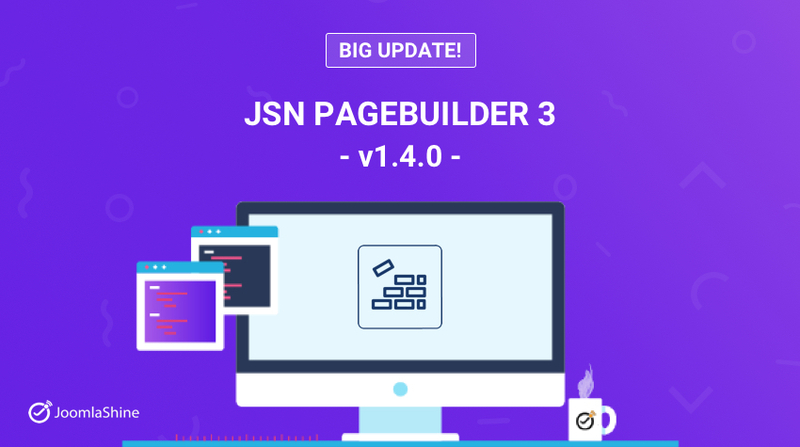 Update: JSN PageBuilder 3 v.1.4.0: Are You Ready For More Elements & Features? Have you been lately with JSN PageBuilder 3 - our top popular Joomla page creator? Whatever your answer is, you should spend a couple of minutes updating the new things of the new version 1.4.0 of JSN PageBuilder 3. Have you ever feel stuck when brainstorming one design of a new page? This pain point occurs so many times with most of us. We understand it, and we have made JSN PageBuilder 3 v.1.4.0 more convenient with the awesome template library, or prebuilt pages. 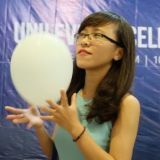 The Template library of JSN PageBuilder 3 now provides 30+ page templates which are ready to serve websites of popular industries (e.g. fitness, fashion and Charity/NGO). All these sample templates are selected carefully from our top favorite Joomla templates. The idea of copying one part of a page and pasting it on another page sounds wonderful, isn't it? Well! JSN PageBuilder 3 is ready to surprise you with this new feature, called Saved Section. Like building a lego house, you can create a new Joomla page by simply collecting sections of many pages built with JSN PageBuilder 3. Remember the template library above? I must reveal a good trick: why don't you pick up favorite sections of our pre-built pages? It will be much faster to create a beautiful Joomla page. Contact forms seem to be indispensable that most websites in the world are using them. A contact form is a way to collect your site visitors’ messages and personal contacts. Therefore, the Contact Form element is provided in the new version 1.4.0 of JSN PageBuilder 3 with 4 basic form styles. Every form is designed in a simple style, but you have so many options to change even a small detail like a button. Besides the basic Google Map element, our team has developed one “Advanced” option. Setting up the height of a map and its zoom percentage is so simple because you just need to insert numbers. Turning on the Control option, you allow site visitors to zoom in and out the Google map with two buttons: + (minus) and - (plus). If you choose the Draggable option, the visitors can drag/pan anywhere on the map. Also, if you switch on the Scroll Wheel option, the visitors are able to zoom in and out when using the scroll wheel on a mouse. But the Advanced Google Map element has one more thing amazing you. The Style option! It enables you to choose different styles with gray, dark and bright colors. Some people prefer every detail in their websites matches well together, so the map may be suggested to have a color that fits the website color scheme. Each setting above does have one purpose which depends on your users' behaviors and interests. You are free to try any options to find the perfect settings of your map. Last but not least, we have fixed a few bugs from the old version, improving JSN PageBuilder 3 much better in this new release. We do hope that you will create stunning pages for Joomla! sites with our page builder extension. Why not try it now? The new features a welcome bonus. The form element is my fave which is good alternative for those who do not require all the bells & whistle of JSN Uniforms.